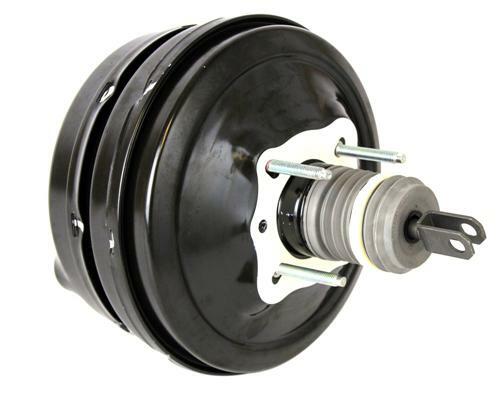 Upgrade your stock S197 brake booster with this 2005-2008 Mustang GT500 power brake booster! Hard Brake Pedal After Brake Upgrade? Wanting to upgrade the braking system on your 2005-2008 Ford Mustang or already have and now are dealing with a hard pedal? This is because the stock Brake Booster was calibrated to provide a certain amount of "assist" witht he stock brakes. Going to a big brake setup requires moving more fluid against a larger caliper piston surface area, and that requires more "assist" from the brake booster to keep a stock pedal feel. Add this 07-08 GT500 power brake booster to help get your S197 stopping better than ever! This brake booster was used on the 2007-2008 Shelby GT500s and the popular FR500s Mustang to help improve pedal feel and provide excellent braking modulation. Pair it up with one of our Ford Racing GT500 Brembo brake kits for the perfect setup on your Mustang! This vacuum brake booster will reduce pedal effort by up to 30% compared to a GT booster. 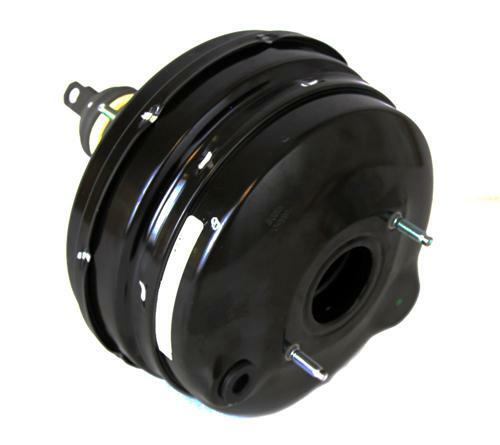 This GT500 vacuum Brake Booster is a direct bolt on for the 2005-2008 Mustang GT or V6. No modifications are required and it is compatible with the factory brake master cylinder. This booster will not fit 2009-2014 Mustangs; use part # LRS-2005AB.